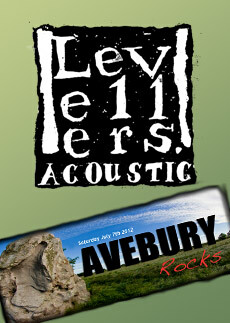 Following the success of Avebury Rocks, Avebury Rocks II took place on Saturday 7 July 2012. Well done and thank you to everyone who attended Avebury Rocks this weekend either as a walker, concert goer or volunteer. Avebury certainly rocked and the rain certainly did not dampen anyone spirits. 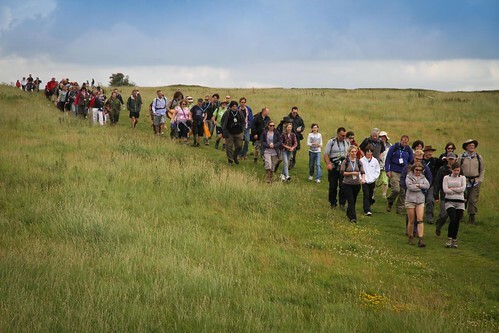 We had over 75+ sponsored walkers who completed the not only challenging and spectular views of the 20 mile walk and were then joined by over 55+ walkers taking part in the 6 mile walk who all came back to Avebury together. The magnificent Nick Harper, Cy Curnin and Jamie West-Oram from The Fixx and Jon Leveller walked and supplied the music during the 20 mile walk. This year the concert was headlined by festival favourites The Levellers, who shot to fame in 1991 with their anthemic single One Way, and enjoyed critical and commercial success during the first half of the 1990s. They were be joined by Nick Harper local singer/song writer and son of legendary singer Roy; Cy Curnin and Jamie West-Oram of the rock band The Fixx, who have countless top ten hits in the USA and are still rocking from Hawaii to New York regularly, and Swans in Flight – an acclaimed acoustic duo and founder of Love Hope Strength Foundation, Mike Peters, lead singer of The Alarm and Big Country, who had just jetted in from New York that morning. 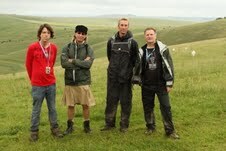 The first Avebury Rocks held in 2011. was an amazing success and raised over £30,000 for Prospect Hospice. Avebury Rocks Day started with a 20 mile circular sponsored walk from Avebury Stone Circle. The route included the Adam and Eve stones at the end of the former Beckhampton Avenue, a section of the old London to Bath coach road, Cherhill Monument and White Horse, Morgans Hill nature reserve, The Wansdyke, Milk Hill, Adams Grave Neolithic Long Barrow and the Alton Barnes White Horse for a lunch stop if fine. The walkers even managed to catch a tantalizing glimpse of a crop circle or two in the distance. A six mile walk for the family groups joined at Adams Grave and they continued to make their way back to Avebury via West Kennet Long Barrow, Swallow Head Springs and Silbury Hill. The event was jointly organized by Rotary Clubs of Swindon Thamesdown and Marlborough with the Love Hope Strength Foundation, a charity group first set up by Mike Peters raising money for cancer charities, and the committee includes representatives from Avebury village and Friends of the Ridgeway. Last year the event raised over £30,000 and we are hoping we can top this figure. Beneficiaries from the event are Prospect Hospice and C.A.L.M. “Thank you to Ian and Mike for organising the route which was harder, but more enjoyable, breathtaking in more ways than one! Thank you to all the Rotarians from Marlborough and District, Chippenham and Swindon Thamesdown throughout the walk, with some morale sapping mickey taking at the road crossings (or was I the only target for that?!) Seriously, thanks guys you were brilliant. And that beef bap was the best I’ve ever had. Jenny and her team from the Avebury Field Assocation for letting us grubby musician types muddy up the pavilion whist they provided much needed sustainance for all. Tony Farthing and family for all their help with the Glebe Field, gates, straw and large vehicles, to Duncan Haines for pulling out stuck vehicles, transporting equipment, flattening the ruts in the field and providing water to the walkers, to Alan Blake at Avebury Club for sterling work at the bar and for making the Club available on the night. Thanks also to Love Hope Strength Foundation for organising the sponsorship side and the team: Dave for endless ingenuity in setting up and taking down; Stuart for doing about 30 miles on the walk by running ahead of us and taking pics, watching us go by and then running ahead again – how did he do that??! Sarah and Justin for running the LHSF stall and Jackie for ending up running the Levs merch stall. All this despite the danger of low flying party tents threatening to wipe out the team. Outside the event we had great help from Roger at Sound Knowledge and all at Holmes music with tireless promotion and support – proper people in proper shops, not faceless mail order companies with no interest in you as a person – please buy your CDs and/or your musical instruments from them. Drum kit Mr Frampton? Speaking of whom thank you Dave for doing such a great job steering the meetings in the Red Lion and being our first port of call (and dealing with all my endless requests and suggestions leading up to and on the day). Also to all on the committee for their dedication, unfailing enthusiasm and practical knowledge and ideas, not to mention the humour and bonhomie that prevailed throughout. I thought the music was superb and everything I hoped for (apart from that solo guy). Special mention to Cy Curnin for driving up from the Loire to walk 20 miles and play for 30mins; Jon Leveller who embraced the event by raising over £700 (and counting), in doing the walk because he was unable to play because of his finger injury. Mike Peters for driving down from a flooded Manchester via a flooded Wales immediately after landing from a transatlantic flight to turn Avebury sports field into a stadium rock gig! And of course the Levellers who travelled overnight from Belgium at considerable financial cost to themselves to put on a fantastic show and help our local community, sending home the sodden revellers with smiles on their faces and then sticking around to help take down the PA in the rain – not what they were (not) paid to do!